High-protein nutrient protein-based milk! Great taste and solubility. It helps increase lean muscle and recovery after training! 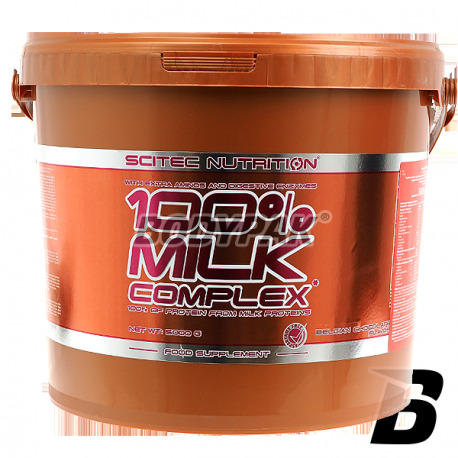 Scitec 100% Milk Complex - a protein supplement that provides protein exclusively from dairy - dominates whey protein (isolate and concentrate), which is supplemented with milk protein isolate, which dominates the highest quality undenatured micellar casein. It is far more valuable than the protein found in many other products, low quality, denatured caseinates, which will not be as well used by our muscles. 100% Milk Complex provides high-quality animal proteins with excellent properties, high biological value. 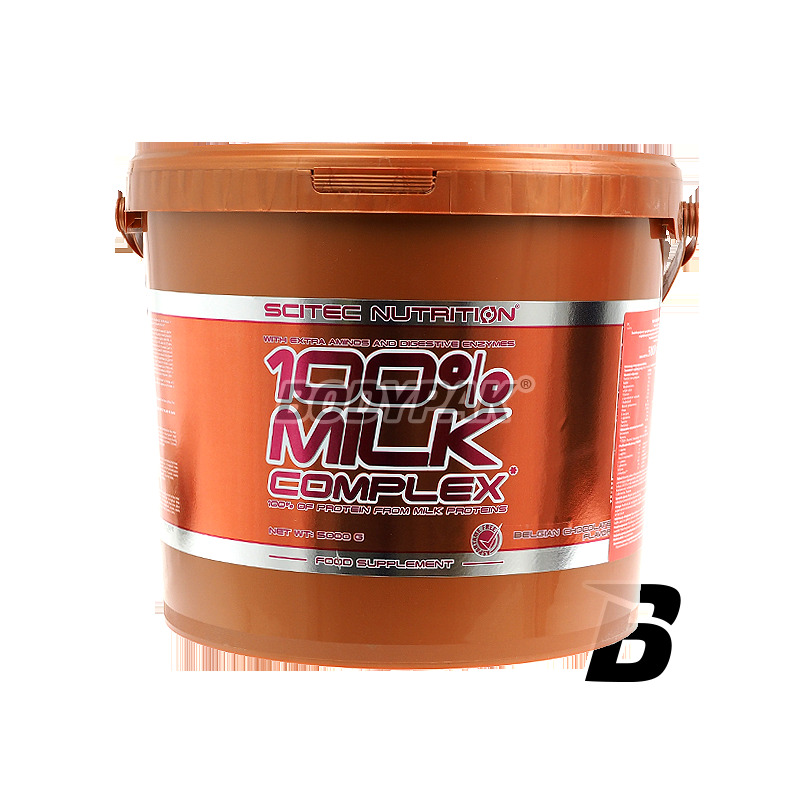 Scitec 100% Milk Complex full spectrum of amino acids (including each of the so-called. Essential amino acids - EAA) .Białka milk is called. complete protein because of the complete amino acid complex. Also added a mixture of digestive enzymes (papain, bromelain) to conditioner could be fully exploited, consumed the exact form of the amino acid (which is essential in order to fulfill their role). In addition, nutrient enriched form of free amino acids L-leucine, L-glutamine and taurine. The advantage of 100% Milk Complex is the fact that it comprises aspartame. Biała czekolada-pistacja to chyba najlepsze połączenie jakie piłem do tej pory!